"Demonstrate understanding of figurative language, word relationships, and nuances in word meanings." How do writers become great writers? With writing tools like word banks. 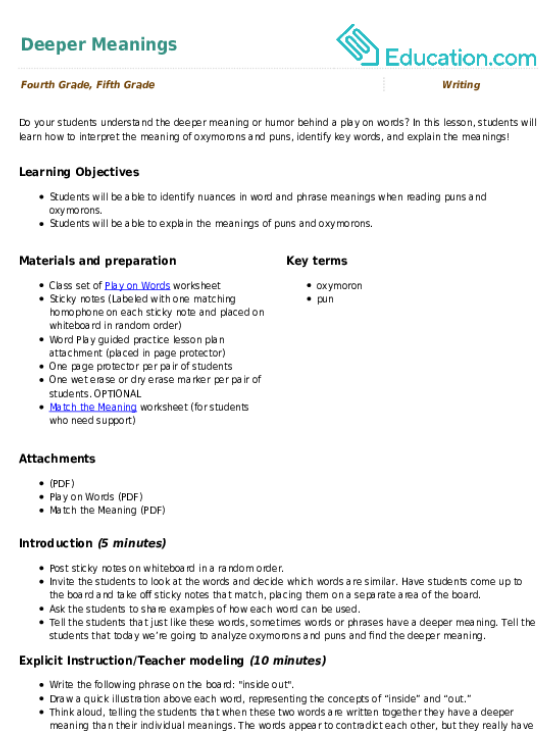 In this activity, students will brainstorm alternatives for three words to create word banks. If your students need support in matching obscure words with the deeper meaning, invite them to use the clues on this worksheet to match words and phrases with their corresponding meanings. 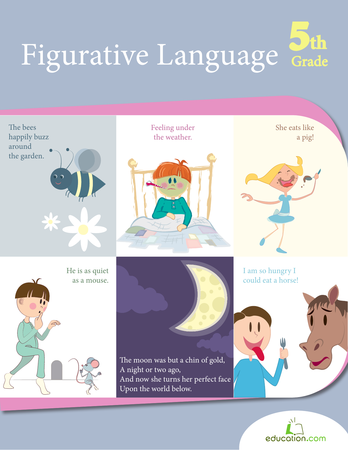 Play around with word sounds in this figurative language worksheet! Learn to identify assonance and consonance, two common poetic devices. Do your students understand the deeper meaning or humour behind a play on words? In this lesson, students will learn how to interpret the meaning of oxymorons and puns, identify key words, and explain the meanings! Students will have a blast playing with this exercise that shows how spelling onomatopoeias comes from real-life sounds. There’s nothing greater than a student who can appreciate a pun activity when they play one. 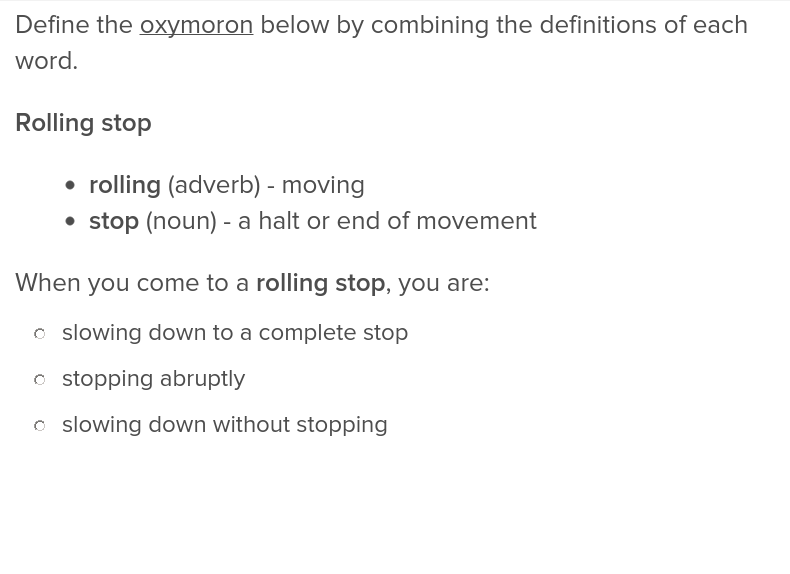 Help students learn how to categorize objects with this exercise that educates them about oxymorons.